For more than 30 years, the experts at Asphalt Pavement Solutions have been providing a full range of services to clients who need help planning, repairing or maintaining their asphalt parking lots. Major property management firms, retail chains, and residential and commercial customers trust Asphalt Pavement Solutions to provide the highest quality work at competitive pricing. At Asphalt Pavement Solutions, we also pride ourselves on our outstanding customer service, from finding customized solutions to working with your schedule to ensure the least disruption for your tenants, customers, and employees. Sealcoating, Moorestown, NJ is the best choice with APS! Asphalt Pavement Solutions offers a complete range of asphalt pavement services in the Moorestown, NJ area. 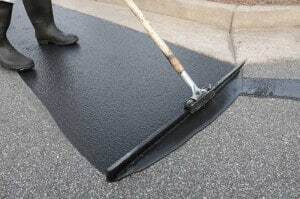 • Asphalt Sealing: The weather in Moorestown can take a toll on your asphalt surface. The sun's rays can cause unprotected asphalt to dry out and lose its flexibility. Harsh deicing chemicals can leave a parking lot looking old and faded. Sealcoating is your first line of defense against the ravages of weather and traffic. • Crack and Pothole Repairs: Unrepaired damages shorten the life of your asphalt surface. Cracks and potholes can allow water to seep beneath the surface and erode the foundation. An asphalt surface with a weak or compromised foundation is virtually guaranteed to fail years before it would have if it had been properly maintained. • Parking Lot Striping: If your parking lot markings are faded, your lot will appear less attractive to visitors and employees. Because modern parking lots must also mark pedestrian crossings, ADA-compliant spaces, fire lanes and loading zones, missing or faded markings can create other issues as well, including safety concerns. When it comes to Moorestown parking lot striping, Asphalt Pavement Solutions is the professional solution that you need. You can trust Asphalt Pavement Solutions for all of your asphalt maintenance and repair needs in the greater Moorestown area. We can tailor a routine maintenance program to fit your needs; such programs frequently extend the life of an asphalt surface by 15 years or more. Whether you need maintenance, repairs or asphalt sealcoating in Moorestown, Asphalt Pavement Solutions can "do it all." Give us a call at 856.288.1656, or use our online form to get your free, no-obligation quote. Asphalt Pavement Solutions has unmatched quality and customer service doesn't stop with pavement markings. We offer complete pavement maintenance for all size businesses. Asphalt Sealcoating - Protect and extend the life of your pavement with a quality sealcoating. Just like a wooden deck, or any other surface exposed to weather, asphalt can be protected to maximize its natural life cycle. Sealcoating protects pavement from the sun’s harmful UV rays, chemicals, and most importantly water. Learn more about asphalt sealcoating in Moorestown! Asphalt Repair - Protecting the underlying structure of your asphalt parking lot is the sole purpose of asphalt maintenance and repair. Once asphalt ages it may be necessary to perform asphalt crack repair or more serious asphalt repairs. By sealing cracks and addressing issues such as potholes early on, you can save many thousands of dollars in extensive repairs and paving. Learn more about crack sealing and asphalt repairs in Moorestown, NJ. APS is the Sealcoating, Moorestown, NJ expert. For over 3 decades we’ve been a leader in the pavement industry. Call us at 1-856-288-1656 or fill out the Free Job Quote form for a no-obligation consultation with our asphalt specialists.